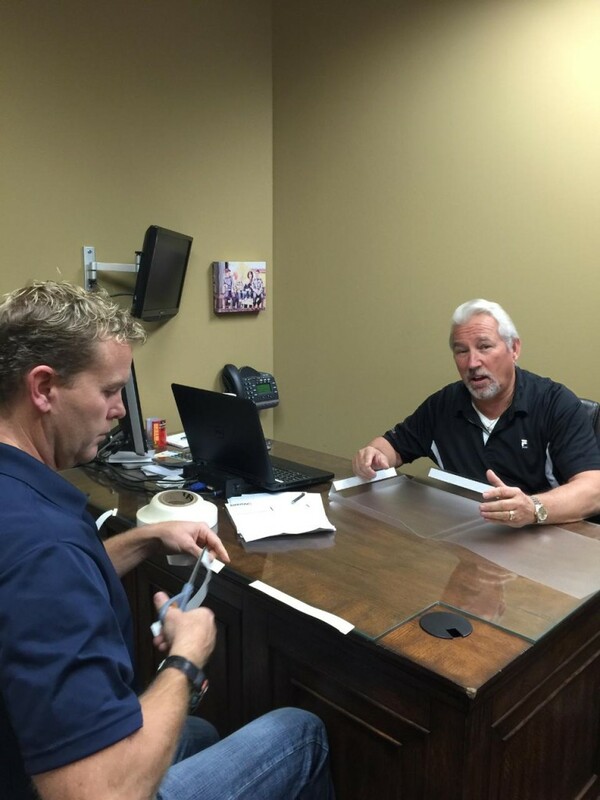 Chad Johnson is the CEO of Adhue Graphic Resources and is responsible for all facets of the company. 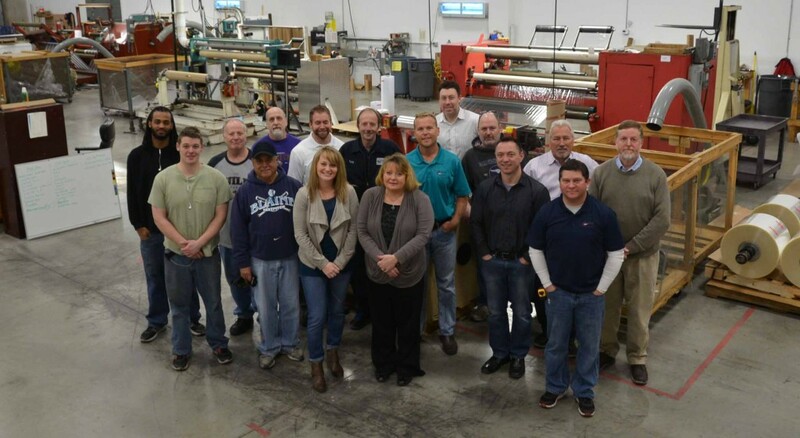 Chad’s philosophy of The Force along with his passion for Entrepreneurship has proven an integral part of Adhue becoming the Midwest’s premier supplier of printable plastics and graphic resources. Chad would best describe his leadership style as democratic, which he implements by employing people much smarter than he is on a consistent basis. Chad's a big picture guy who steers the ship. Having 25 years of experience in the printing/packaging industry has built the foundation for his proven track record and continuing success. Chad is a devoted family man who enjoys spending his time outside the office driving kids around, golfing, and hunting with friends and family. If you would like to contact Chad, you can email him at: chad@adhue.com or by telephone at: 763-781-8072. Josh Haugland is the General Manager for Adhue Graphic Resources. Josh has been working with Adhue since November 2014 and has experience in Manufacturing/Operations Management for 10+years. 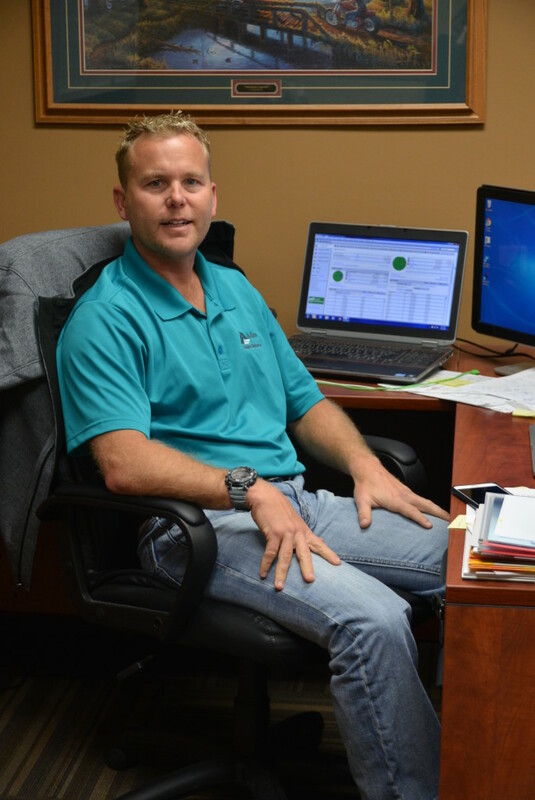 One of Josh’s goals for the future of Adhue is to continue Adhue’s growth and providing excellent service to our customers which he will be helping direct towards success. Josh is a dedicated leader who focuses on Adhue’s Core Values of Teamwork, Accountability, Attitude, Communication, and Customer Focus. When not in the office, Josh spends his time traveling and golfing. If you would like to contact Josh, you can email him at: josh@adhue.com or by telephone at: 763-781-8072. Mike Patterson is an Account Executive for Adhue Graphic Resources. Mike brings to the table a tenacity for service and reliability for all of his customers which has attributed to his success at Adhue. With over a decade of experience in the industry, Mike has an excellent understanding of the customer’s needs and the ability to ensure that those needs are met. When not in the office, Mike spends his time with his family and has a passion for golf and other outdoor activities. You can reach Mike Patterson by email: mike@adhue.com or by phone: 763-781-8072. Lisa Willman is an Accounting and Payroll Specialist for Adhue. She joined the Adhue Team in 2011 and continues to do an excellent job making sure the numbers match up and the staff get paid. When not in the office Lisa enjoys spending time at the lake with her family and friends. You can reach Lisa at: accounting@adhue.com or 763-781-8072. 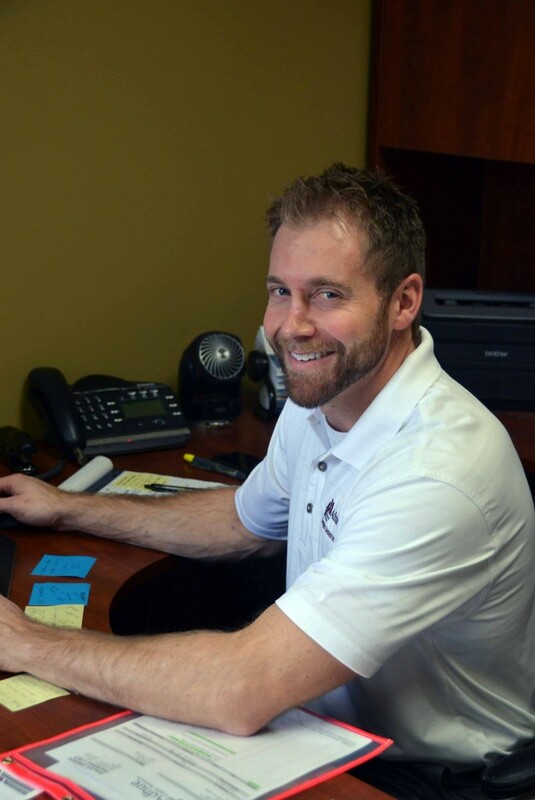 Mike Maurer is our Website, E-Marketing, and Graphics Specialist who also works as a Customer Service Representative. Our resident web-slinger is known for his strong creative design skills and over 20 years of experience working in the sign, print, web, and promotions industries. Mike believes strongly in customer service and consistently works at building friendly relationships with our customers. Outside of work, he enjoys spending time with his family, building things in his garage, and getting together with friends. Contact him at: mmaurer@adhue.com or by phone at: 763-781-8072. Laura Cleveland is a Customer Service Representative for Adhue Graphic Resources. Laura would say that her greatest strength would be her ability to listen to what the customer wants. Combined with being organized and fantastic time management skills, this makes her a perfect fit as a Customer Service Representative at Adhue Graphic Resources. When not helping our customers with their questions and orders, Laura likes to enjoy the outdoors with family and friends and spending time with her Husky. If you would like to contact Laura, you can email her at: laura@adhue.com or by telephone at: 763-781-8072. If you would like to contact Darell, you can email him at: darell@adhue.com or by telephone at: 763-781-8072. Peter lives the motto he learned as an Eagle Scout, “Be Prepared” and prepared he is. Whether he is photographing glaciers in Iceland, Eagles in Wisconsin, or helping a customer solve a problem, he’s always up for the challenge…and photo op. 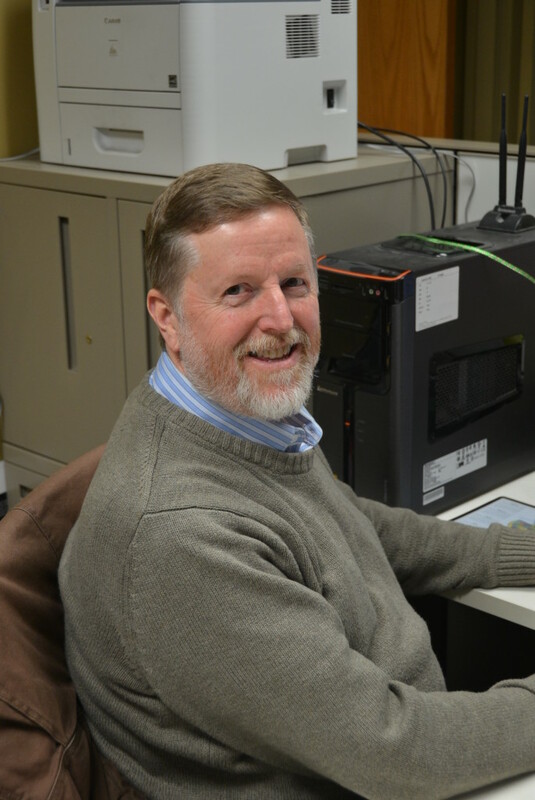 Peter has been in the graphics industry for over 40 years, with over 20 of those years as owner of Medalyst Corporation, a supplier of packaging materials and other post-press materials. Three years ago, he decided that spending his precious weekends hovering over the books didn’t quite match up to being out and about. After about 30 seconds of consideration, he sold Medalyst to Chad and decided to hang around Adhue to lend some expertise in the packaging industry and utilize his converting skills. He quickly adds that he had converted film for such diverse applications as menus, point of purchase displays, krispie treats, and nacho cheese dispensers! Rather than resting on his past accomplishments, he’s still out and about, helping customers determine the really right film for the application, and usually has a camera in tow for that million dollar photo that comes his way. Peter is married to Susan and together they enjoy the company of their two granddaughters, Edith and Penelope. If you would like to contact Darell, you can email him at: peter@adhue.com or by telephone at: 763-781-8072. Scott Evanoff is a Sales Representative for Adhue who has worked in the adhesive and printing industries for over 25 years. Scott excels at finding creative and resourceful ways to make things happen. He dedicates himself to being reliable and making the customer’s needs a top priority. With 9 years of engineering experience in the industry, Scott is an excellent technical resource for customers and colleagues alike. Outside of work, Scott is the father of two teenage daughters, stays very active outdoors, and enjoys riding his Harley Motorcycle. You can contact Scott Evanoff at scott@adhue.com or 763-781-8072.